If you've been thinking about going solar, now could be as good a time as any. 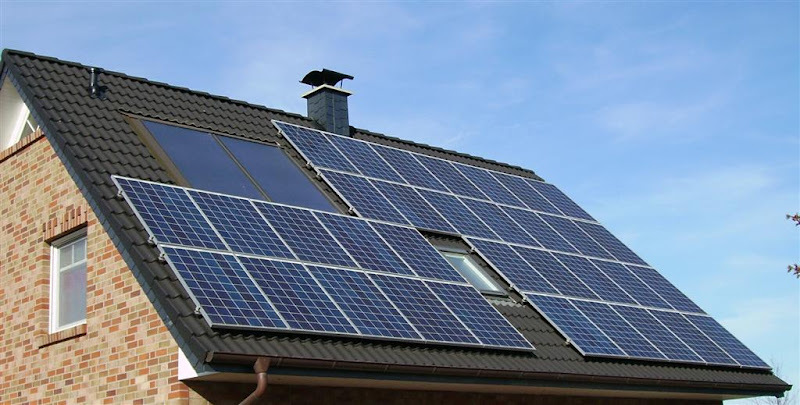 Under the NH energy rebate program, residential solar and wind systems may be eligible for a rebate of $3 per watt installed or 50% of the installation cost, whichever is lower up to a maximum of $6000. The NH Renewable Energy Generation Incentive Program (HB 1628) starts accepting applications next month. There's lots of information on the program at the Office of Energy and Planning on the nh.gov website. To qualify for the rebate, the project must be installed at a residence (no businesses) and generate electricity using renewal energy such as wind or solar. Systems that only generate heat such as heat pumps, biomass boilers, and solar thermal panels do not qualify for the rebate. The system can be either stand-alone or grid-tied, but the total generation capacity for the system must be less than 5kW in order to qualify. Finally, the project has to have begun operation after July 1, 2008. Unfortunately there is a catch. Funding for rebates on residential projects appears to be capped at $500,000 in the first year. There's very little information about how the funds will be paid out should the amount applied for exceed applications. IMO, this uncertainty of funding greatly diminishes the incentive value of this program, since homeowners can't necessarily rely on these rebates to reduce their out of pocket costs. In 2009, the federal government also expanded the tax credits for installation of wind and solar systems to 30% of the installation cost, up to a $2000 maximum credit. The federal tax credit program covers a wide array of energy efficiency improvements such as insulation, new windows and doors, new heating and a/c systems.